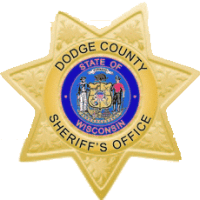 The Dodge County Sheriff’s Office is identifying the Beaver Dam Police officer who shot a suspect during a domestic disturbance in October. Officer Brian Linzenmeyer responded to the scene on the 500 block of Walnut Street around 5:30 the night of October 26th. The Sheriff’s Department says Linzenmeyer was forced to fire his weapon, hitting 35-year-old Richard Henke II. Henke was taken from the scene to a nearby hospital for treatment of non-life threatening injuries. Linzenmeyer, a 17-year veteran of the Beaver Dam Police Department, remains on non-disciplinary administrative leave until the completion of an investigation.